We recommend our PKI 6035 jammer when offices or conference rooms have to be protected from eavesdropping. Its compact design provides stationary and mobile operation. 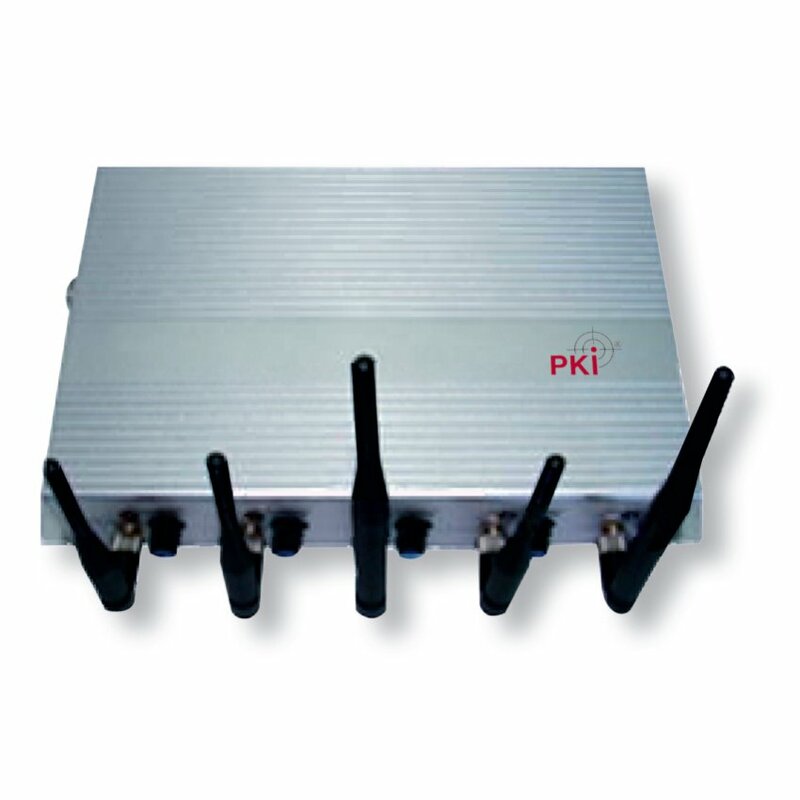 The PKI 6035 covers not only frequency for mobile phones but also 2.4 GHz frequency for WiFi, Bluetooth and video transmission. Each frequency range can be controlled separately in order to achieve optimal adaptation to local networks. The PKI 6035 allows optimal tuning of transmitting power in order to restrict the operating radius to necessary premises. It is also possible to use directional antennas instead of the supplied omni-directional antennas. The operation of PKI 6035 is very easy due to its comfortable control elements.